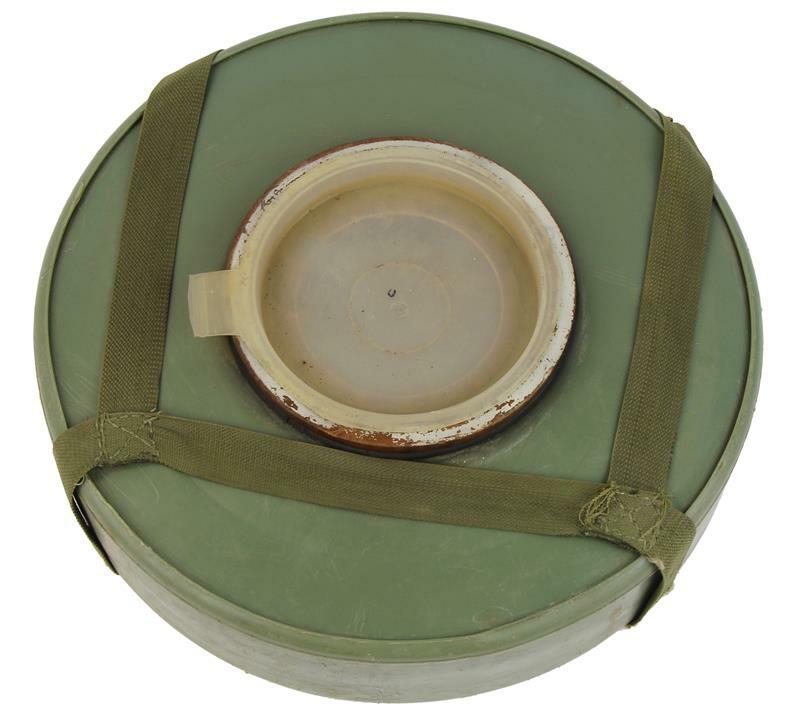 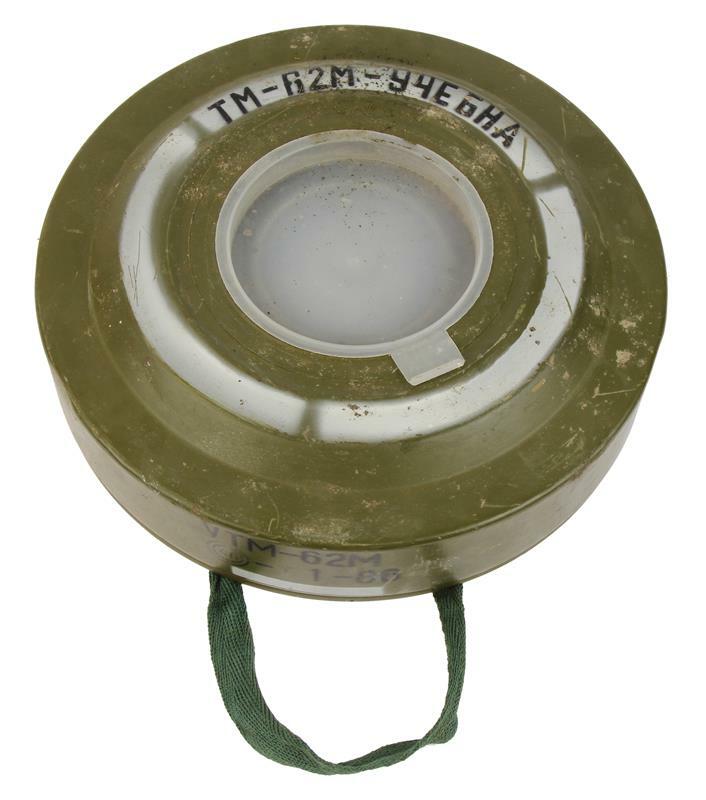 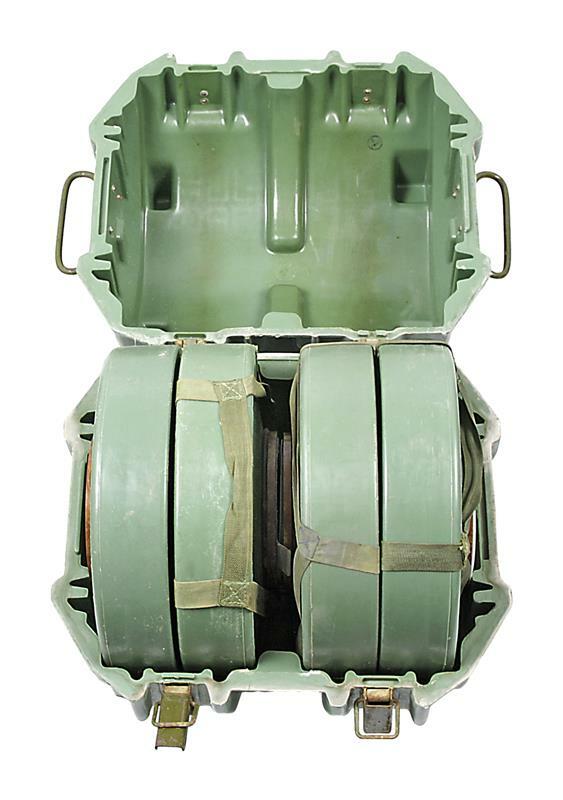 Anti-Tank Mine, TM-62M, Inert, Metal | Gun Parts Corp.
A TM-62M inert metal anti-tank mine. It features round metal body, olive green finish and includes canvas carry strap, and plastic seal cap. 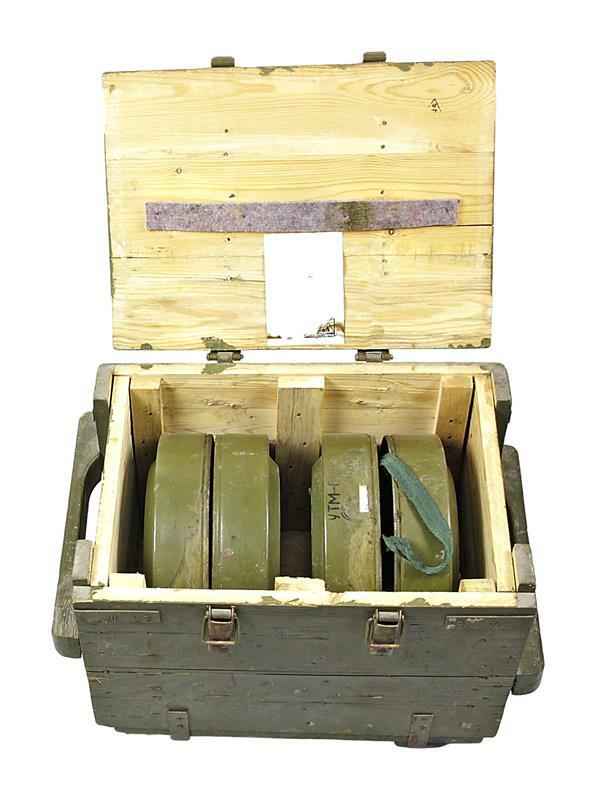 Weighs 22lb.